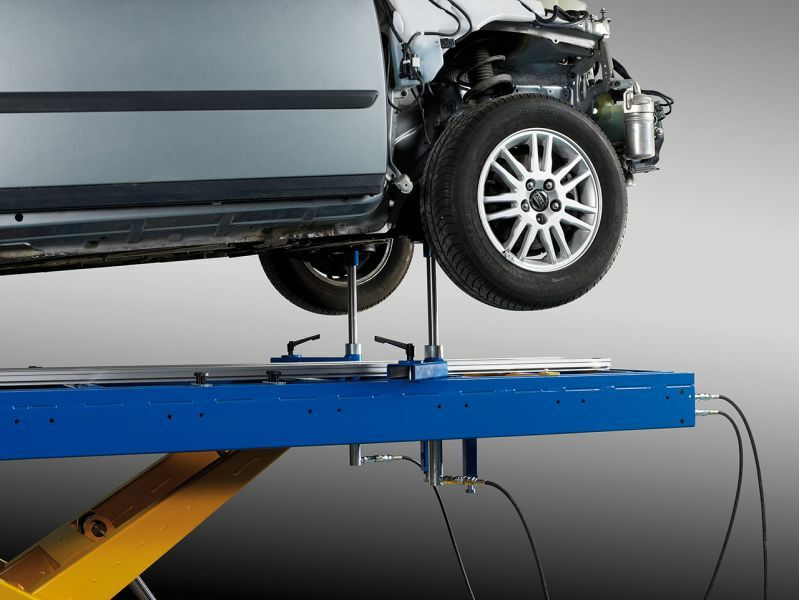 Quick 42 is a phenomenal, multi-functional bench designed to manage every type of damage productively and accurately. 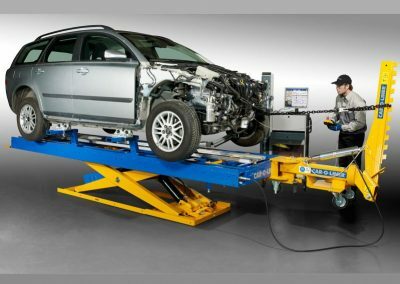 When used together with one of the Car-O-Tronic Measuring Systems and the EVO Universal Anchoring and Holding Fixture System, Quick 42 easily handles not only cosmetic but also structural repairs of damaged vehicles. 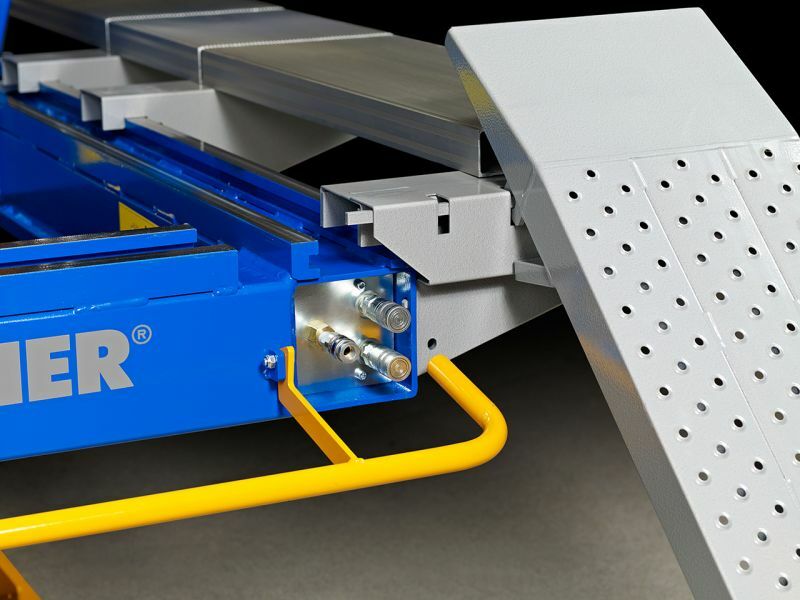 Fast set-up, easy access, on-wheels measuring, quick anchoring and adjustable working height are some of the Quick 42 features that measurably decrease repair time. 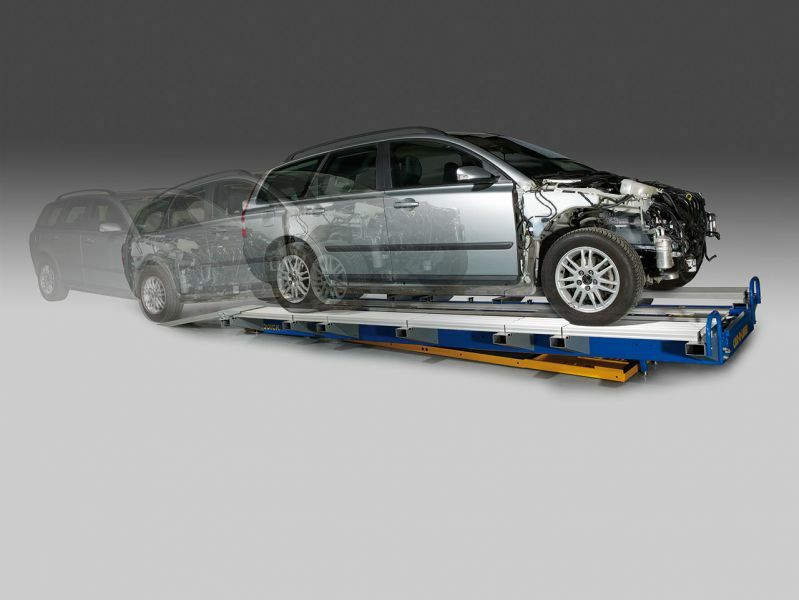 Cosmetic repairs can be made while the vehicle is still on its wheels. 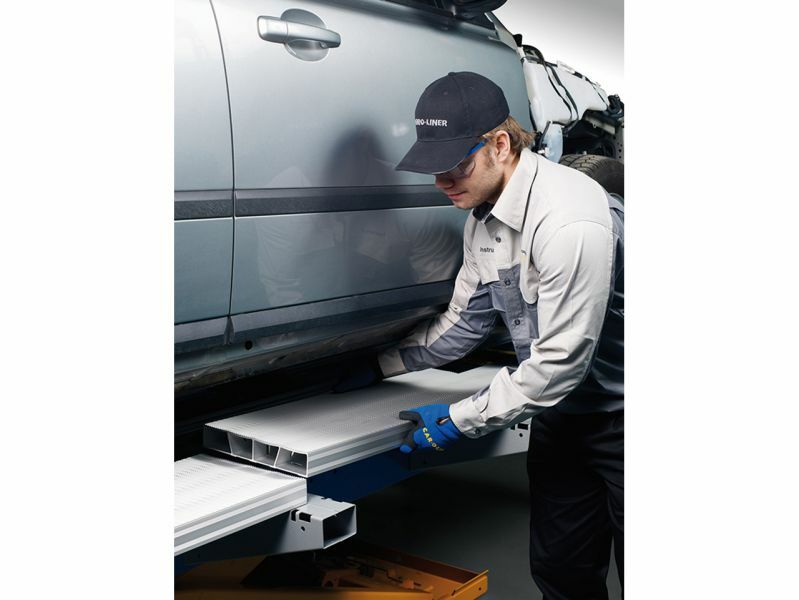 And if structural damage is discovered, the repairs can begin immediately without changing benches. 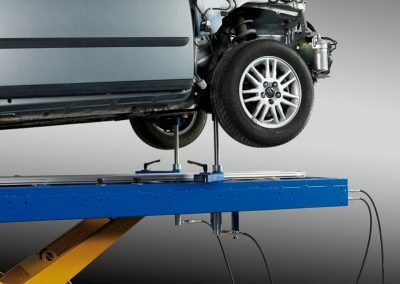 Universal set-up reduces time, cost and space. 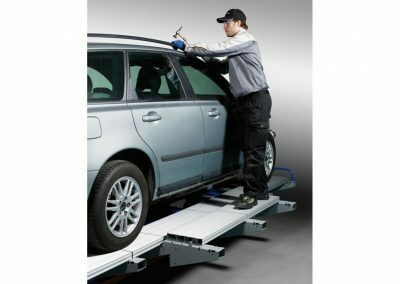 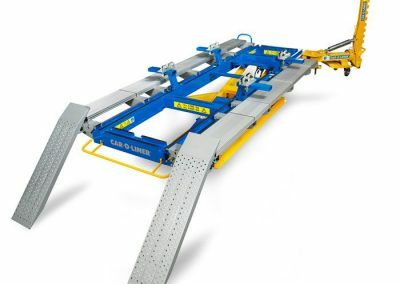 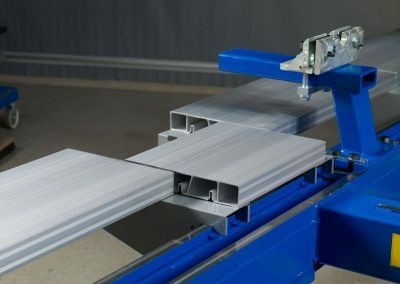 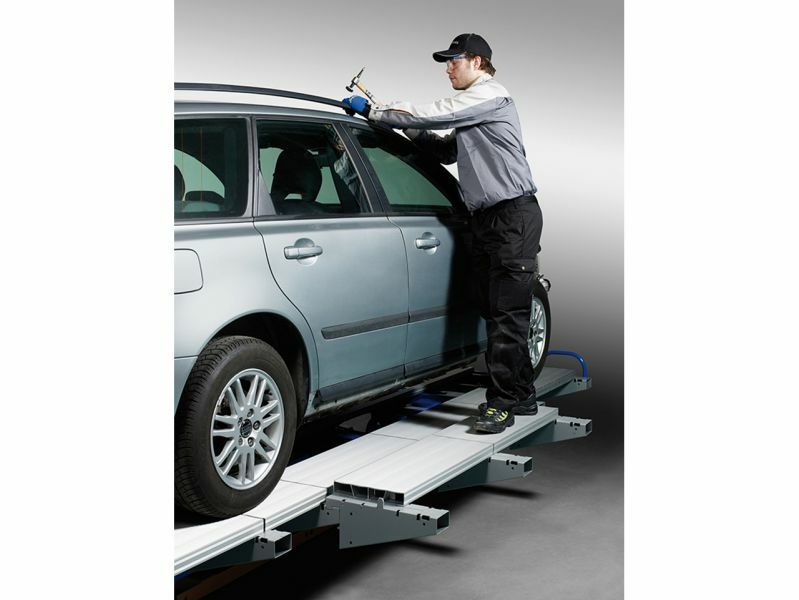 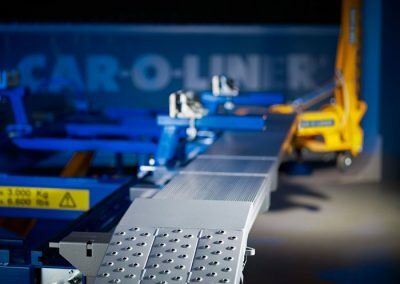 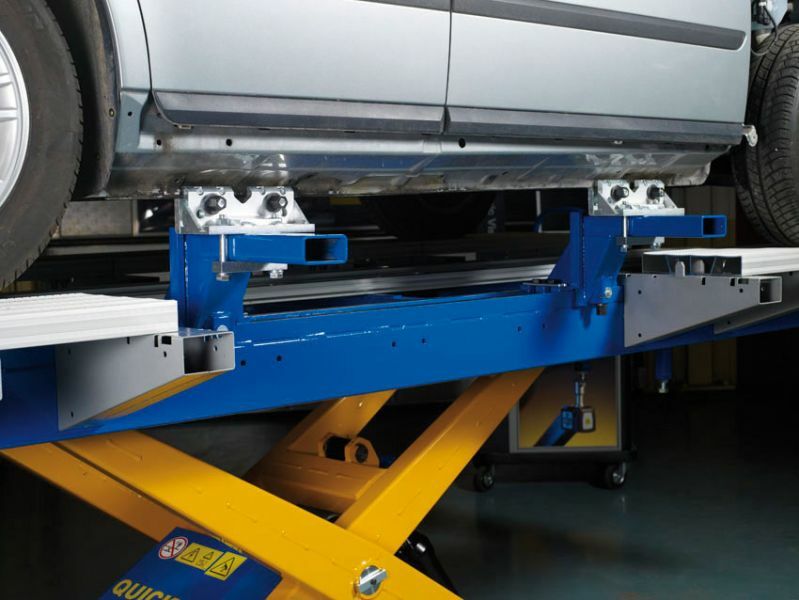 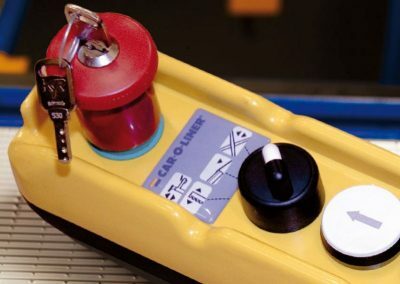 The automatic tilt function and adjustable, removable, lightweight drive-on ramps allow quick and easy access to damaged areas, measuring and anchoring points and upper body areas. 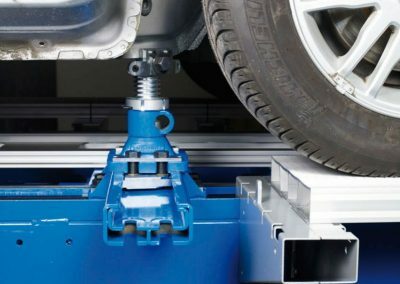 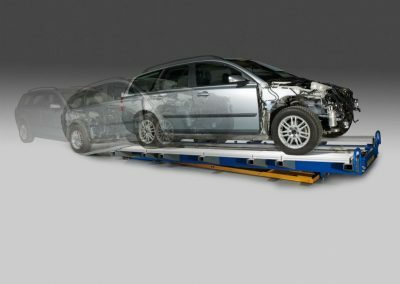 Quick and efficient diagnosis of structural damage while the vehicle is supported on its wheels or in a clamped position. 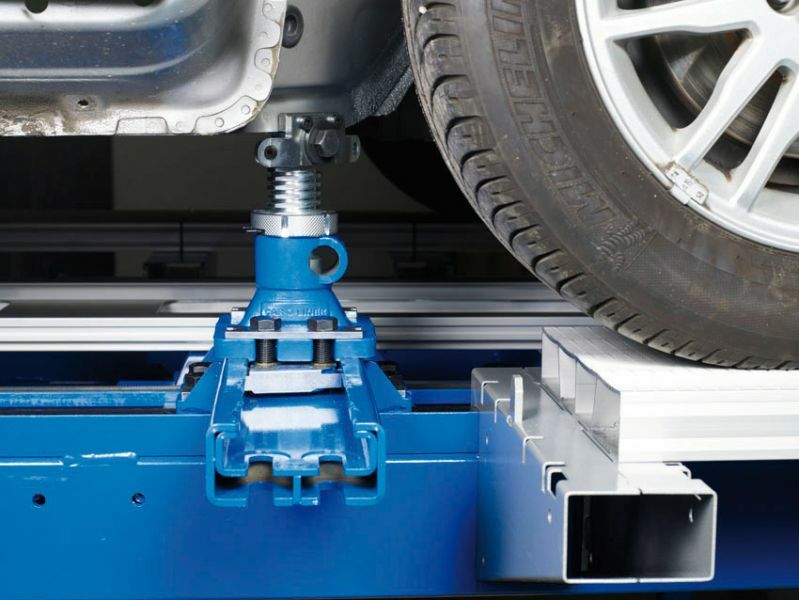 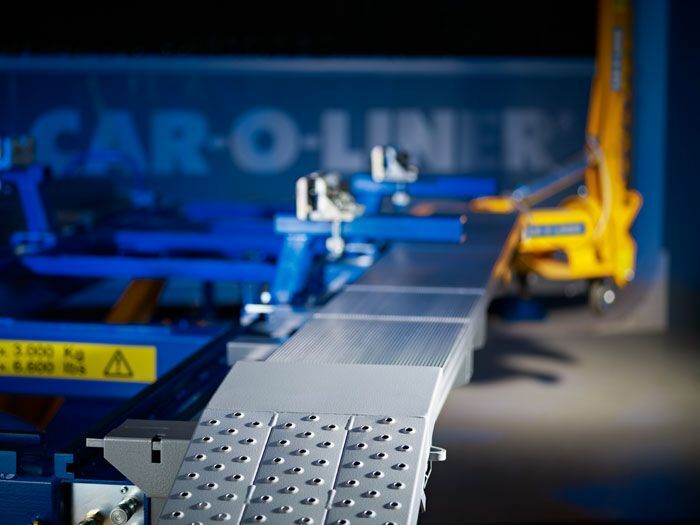 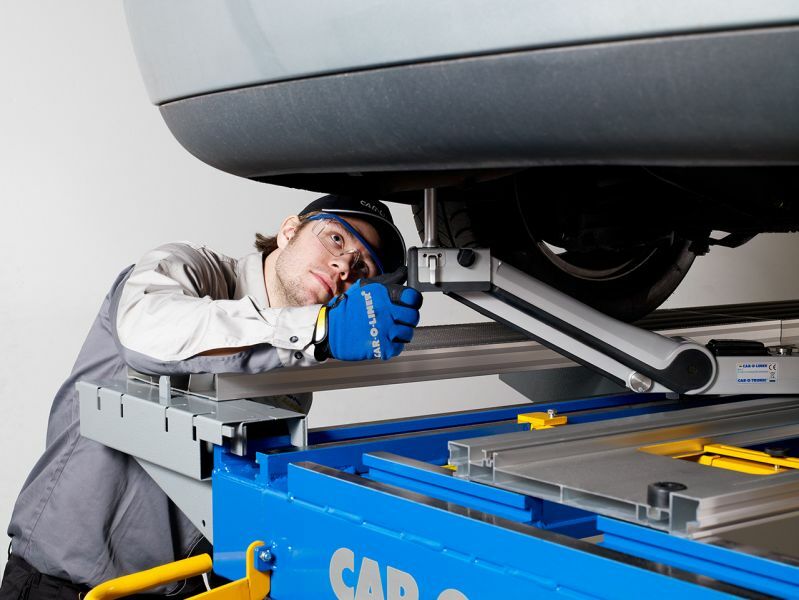 Powerful 10-ton draw aligner pulls from almost any angle, 360o around the vehicle. 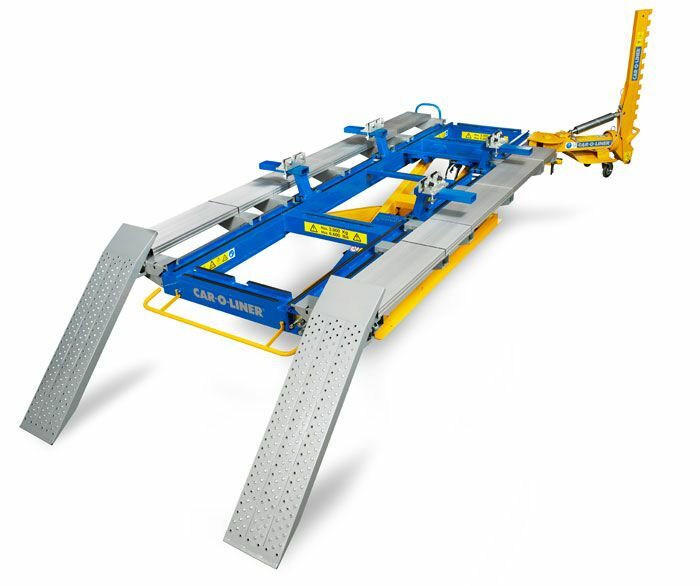 Lifting capacity of 3,000kg (6,600 lbs.). 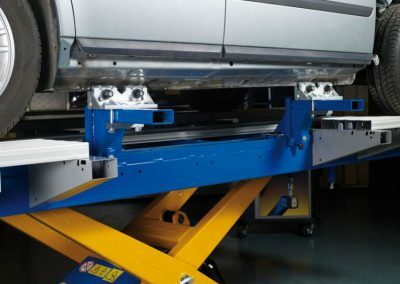 Integrated multi-function power unit keeps the floor clear of hydraulic and air lines. 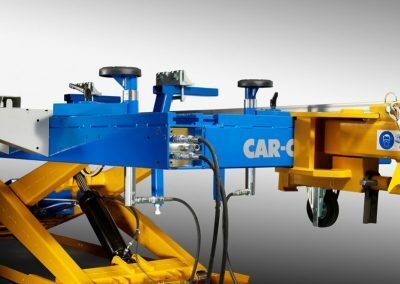 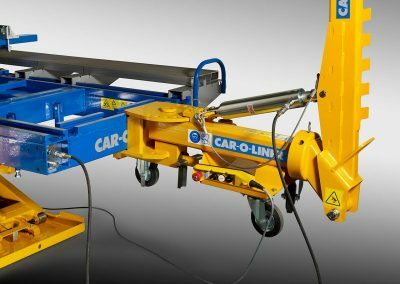 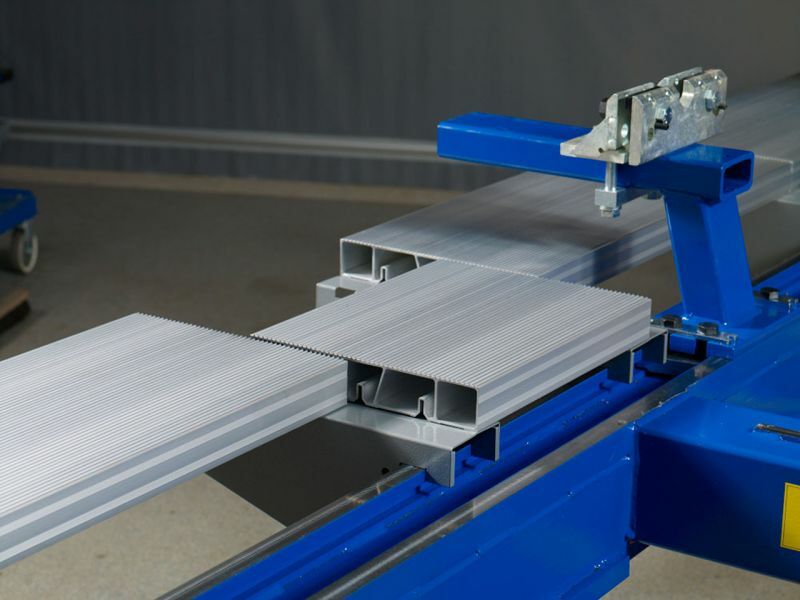 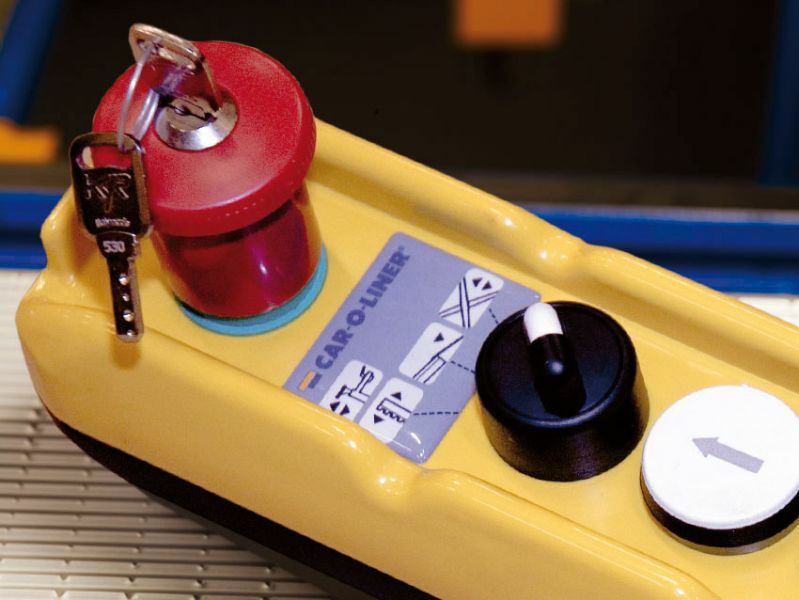 User-friendly hand control with all-in-one functions for automatic bench tilting, lifting, 10-ton pulling and hydraulic jacking. 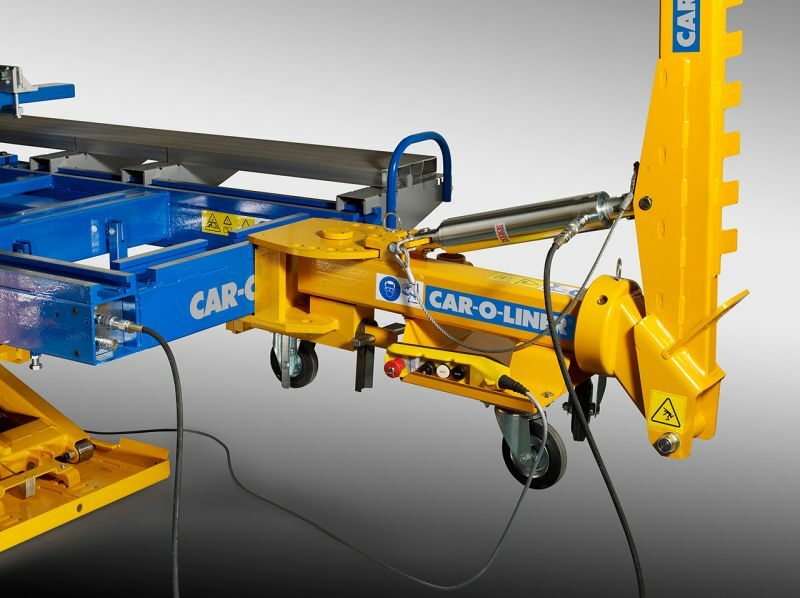 Effective holding and clamping with no need for dedicated, vehicle specific fixtures when using the EVO 1, 2 & 3 holding and anchoring system. 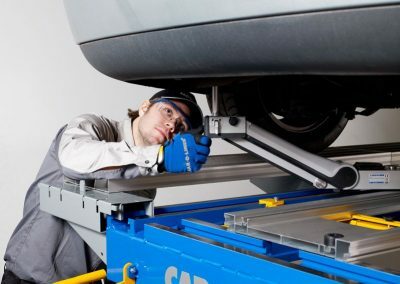 Precise information with accurate, real-time measuring throughout the process when used with the Car-O-Tronic Vision Measuring System and Car-O-Data, the world’s leading vehicle information database. 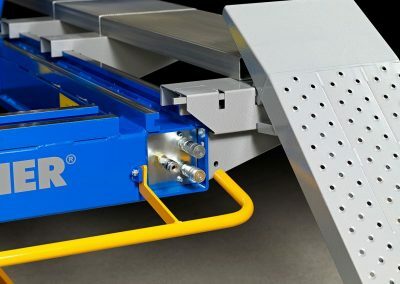 Flexible installation; fixed, mobile or pit mountings. 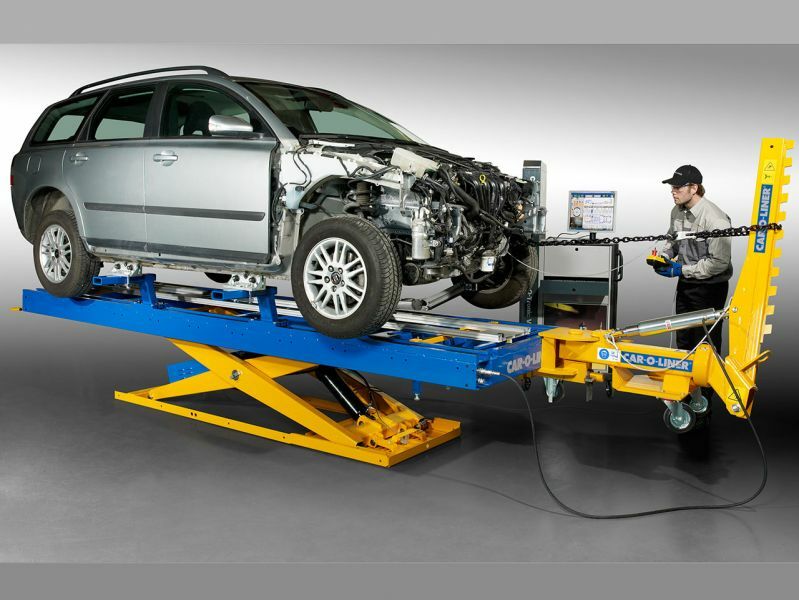 Meets a majority of OEM equipment requirements.